Switzerland’s best restaurants aren&apos;t found only in cities. You&apos;ll find them deep in the Swiss Alps surrounded by glaciers, forests, and rivers. Some are accessible only by foot, cable car, or snowcat. 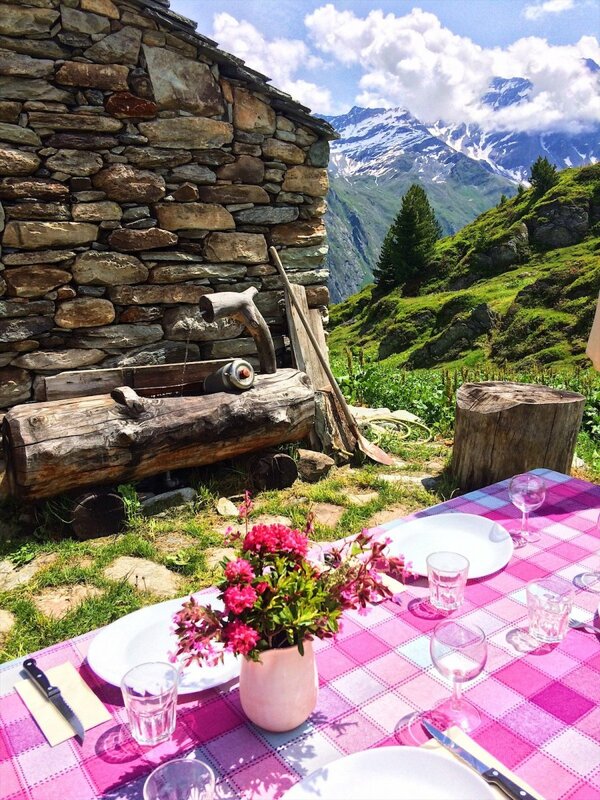 From remote rustic huts to chic mountain restaurants with epic views, whether you dine al fresco or cozy up inside, from cheese aficionados to vegans - you&apos;re guaranteed an unforgettable dining experience in the Swiss Alps. Hand harvested Swiss wine is a unique part of the alpine dining experience because you won&apos;t find it (almost) anywhere else in the world. Seriously, the Swiss drink it all. Under two percent of Swiss wine is ever exported. Understandably so, because - although not famous - it&apos;s exceptional. 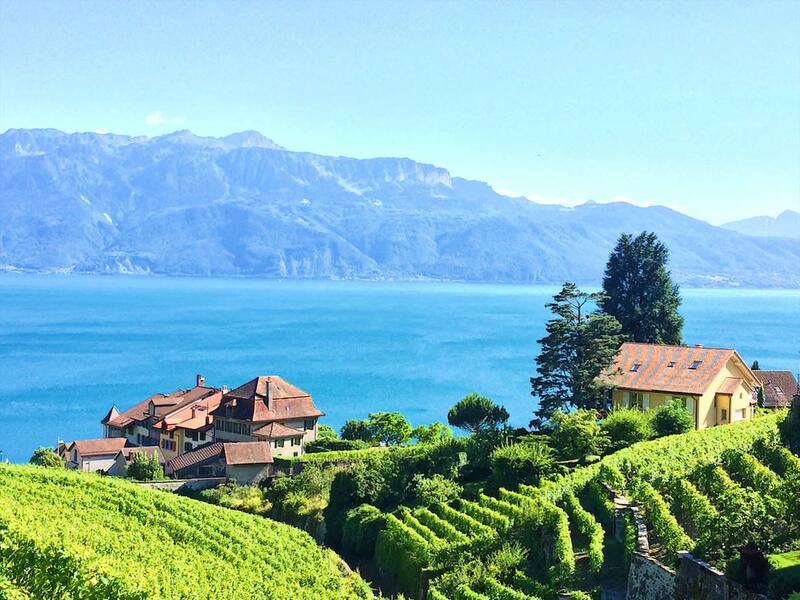 The UNESCO cultural world heritage area of Lavaux dates back to the 11th century. Today, over 200 varietals of grapes are grown in Switzerland including favorites like Pinot Noir, Gamay, and Merlot. Yet, also try the local grapes, like Chasselas, Cornalin, and Petite Arvine. Here are the 10 of the most delicious dining experiences in Swiss Alps where you&apos;re spoiled with glacier and valley views and traditional and inventive Swiss cuisine. From black truffle champagne fondue to fine wine and divine fresh apricot almond tarts, it&apos;s an adventurous feast. Part of the Whitepod luxury glamping experience - where hospitality and environmental conservation intersect - its landmark restaurant Les Cerniers offers an haute cuisine Swiss dining experience. Every ingredient is locally sourced and truly homemade. Its seasonal menu features mountain specialties from the Valais and inventive vegetarian and vegan dishes. Indulge in a creamy traditional cheese fondue - as you can literally hear the tinkle of cowbells from the restaurant terrace. Or opt for the gourmet tasting menu with favorites like grilled pike perch with herbed corn cake and olive oil emulsion. Then dive into the plum compote with vermouth mouse and blueberry tart with meringues for dessert. If after a sumptuous lunch you&apos;re feeling brave, forget driving to the valley below. 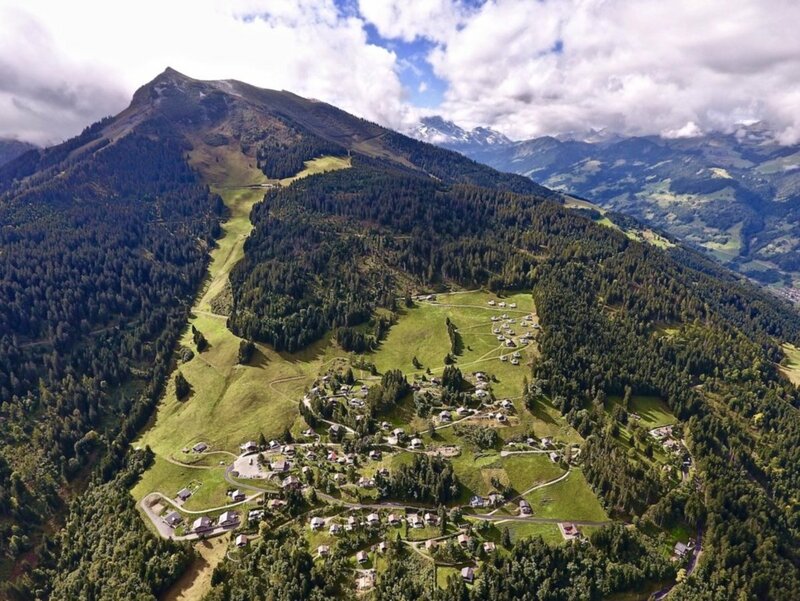 Take the famous Swiss Air Taxi and paraglide down the valley with a guide for a ride back you&apos;ll never forget. 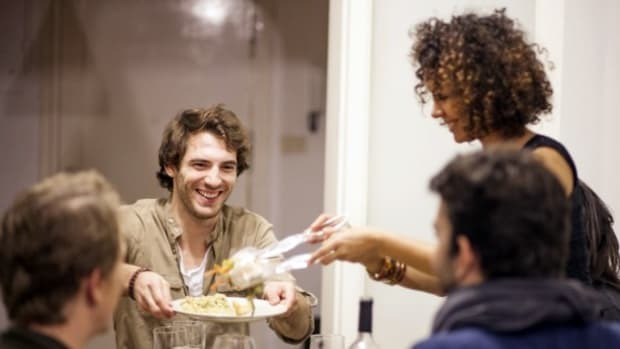 Today&apos;s discerning foodies demand both quality and unique dining experiences. Switzerland delivers both. You can’t get more authentic than a day trip to the idyllic pasture of Sery in the Verbier region of the Valais. After a breathtaking drive, meet local dairyman Marc Maret, who lives in a traditional mountain hut during the summer tending to his cows as they freely graze the alpine pastures. 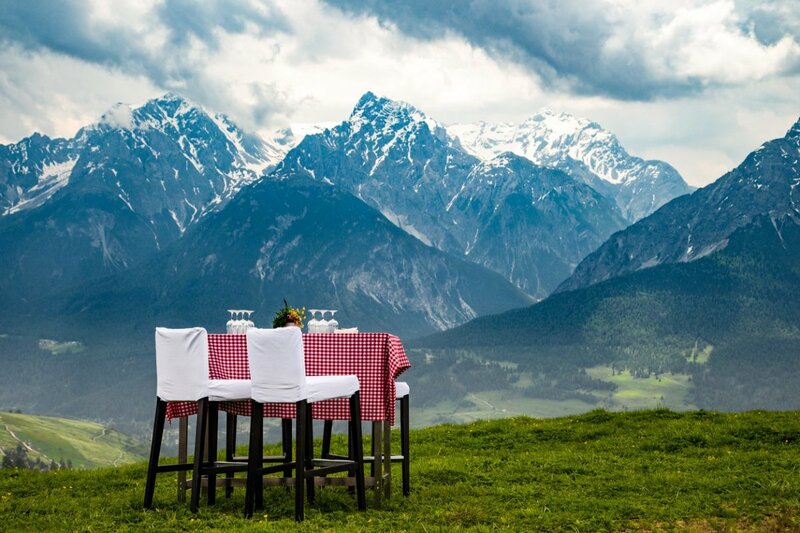 Next, a delicious brunch is served next to a charming picnic table with panoramic alpine views in every direction. Mr. Maret personally introduces each freshly made mountain cheese. 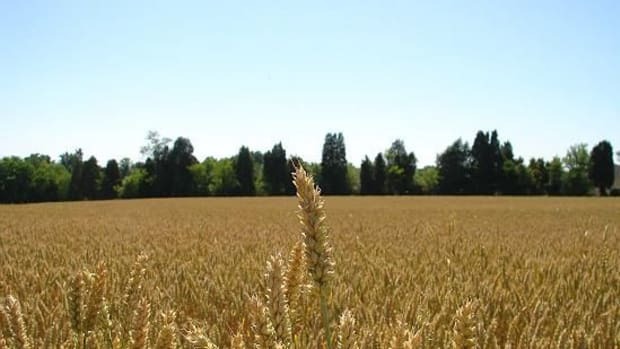 Try it along with homemade bread, fruit jams, local wine, and apple juice. Or taste raw milk produced right on the pasture. With Verbier’s Infinite Playground Pass, this bespoke alpine adventure, including transport, is quite a bargain. 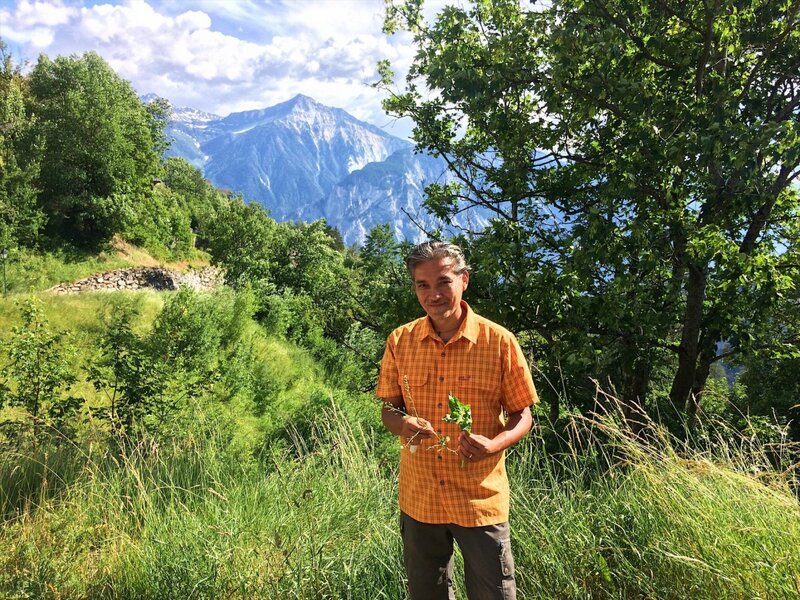 In the traditional mountain village of Albinen, your culinary experience begins with a guided wild mountain herb tour with Sasha-Tsering Tsokhim, a local healer of Tibetan descent and owner of the famed restaurant Godswaergjistubu. 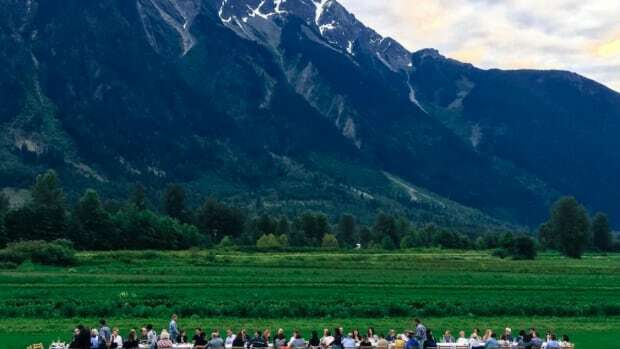 You&apos;ll forage for delicious wild arugula, cherries, and strawberries and learn about the medicinal purposes of alpine herbs that make their way into your 4-course menu. 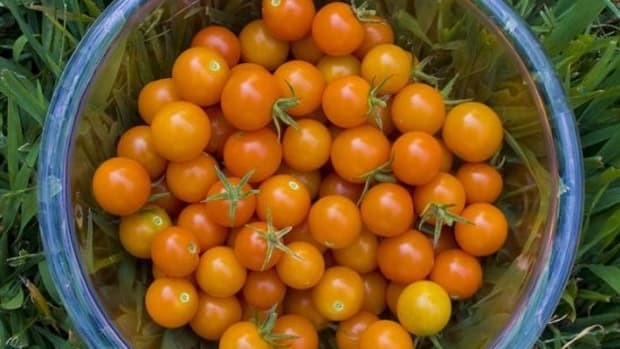 Vegetarians and vegans are spoiled as all ingredients are sourced from alpine gardens, local meadows, and forests. You&apos;ll experience a mixture of herbs and greens you’ve never heard of before in a culinary experience that nourishes the body and well as excites the palate in a historic Valais parlor that dates back to 1636. 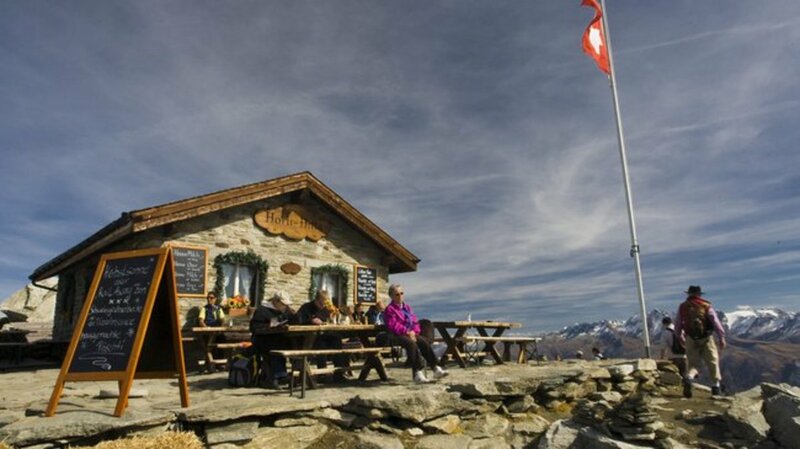 After a stunning cable car ride up from Fiescheralp, you&apos;ll dine with a full view of the Great Aletsch Glacier at the Eggishorn Viewpoint. With a 360-degree panorama of mountains and glaciers, there&apos;s not a bad seat at this rustic sun-drenched cozy mountain hut at 2869 meters in the sky. 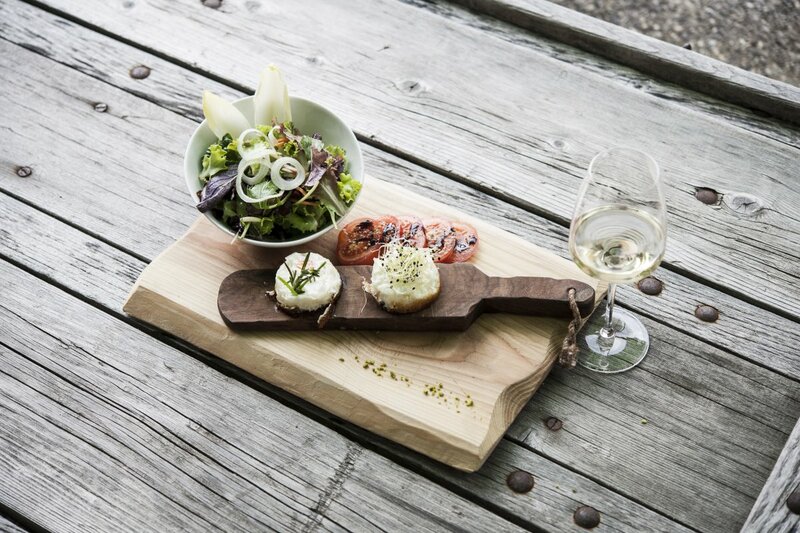 Serving traditional Swiss specialties in a casual picnic al fresco setting, you won&apos;t want to leave whilst sipping delicious local wine and filling up on Röschti, a traditional farmer&apos;s potato dish. But don&apos;t miss the last cable car. It&apos;s a long walk down. 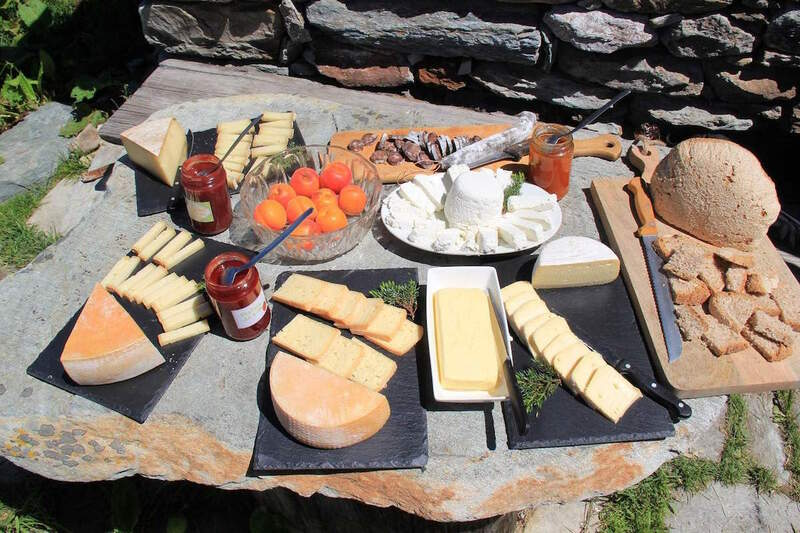 High above the car-free mountain village of Saas Fee, this family-owned traditional mountain hut sources vegetables from its garden and buys cheese from the local cheesemaker further down the famous Sun Trail. A perfect stop for hikers year-round, the trail to the Alpenblick is in full of sunshine while enjoying gorgeous forest views. 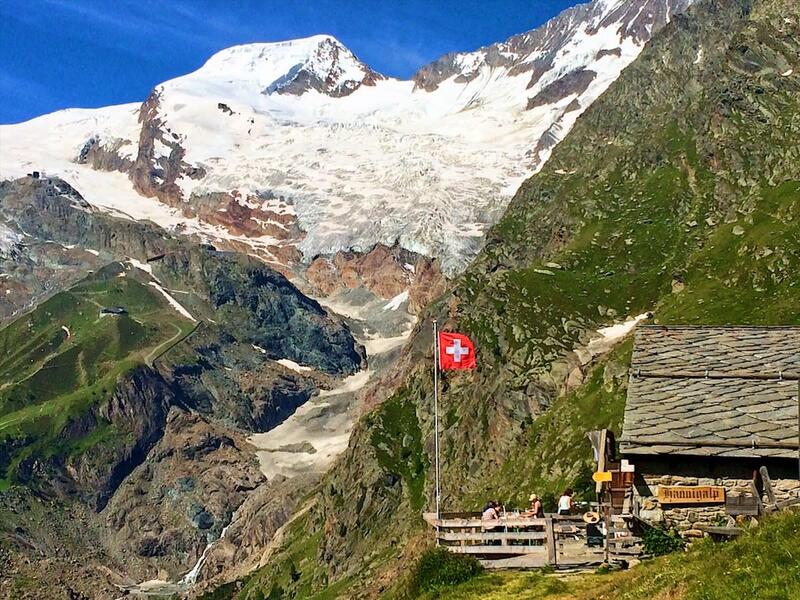 Take off your hiking boots and enjoy authentic hearty Swiss mountain cuisine. 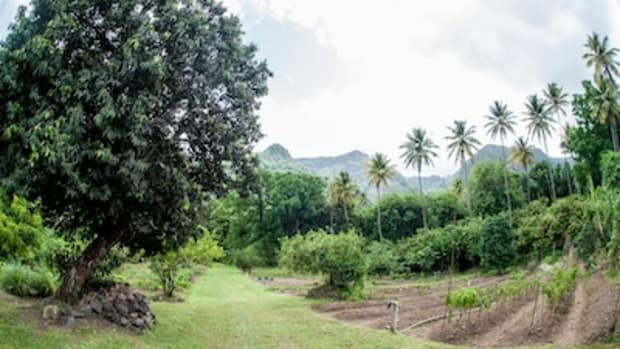 Famous for its homemade dessert try the fruitcake, apple strudel, and nut gateau. 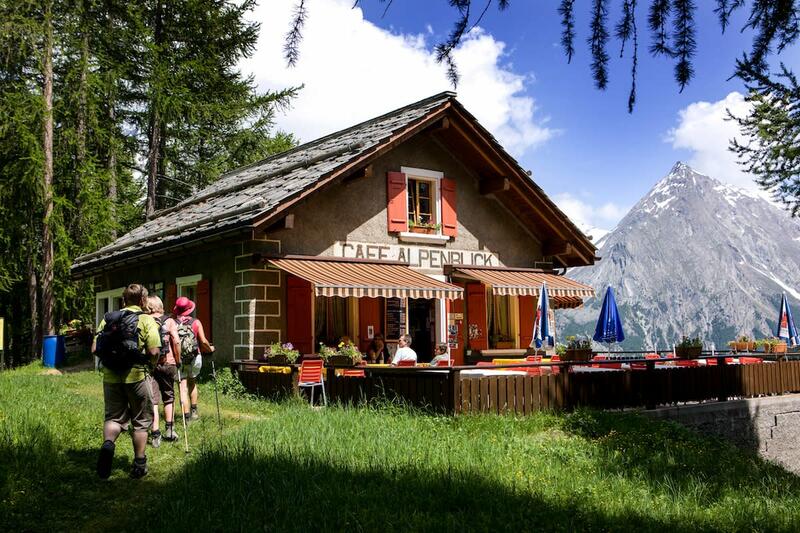 The Sun Trail in Saas Fee could be renamed the "Gourmet Trail" as you&apos;ll find rustic Swiss mountain huts dotted along the way serving up authentic alpine cuisine. One such gem is the Hannigalpe, where its owner makes goat cheese in the traditional style over a fire. Stop in for a tour and a taste of this tradition that&apos;s over 100 years old. The mountain goat cheese is for sale and if you&apos;re so inspired sponsor a goat and support the future traditional Alpine farming. 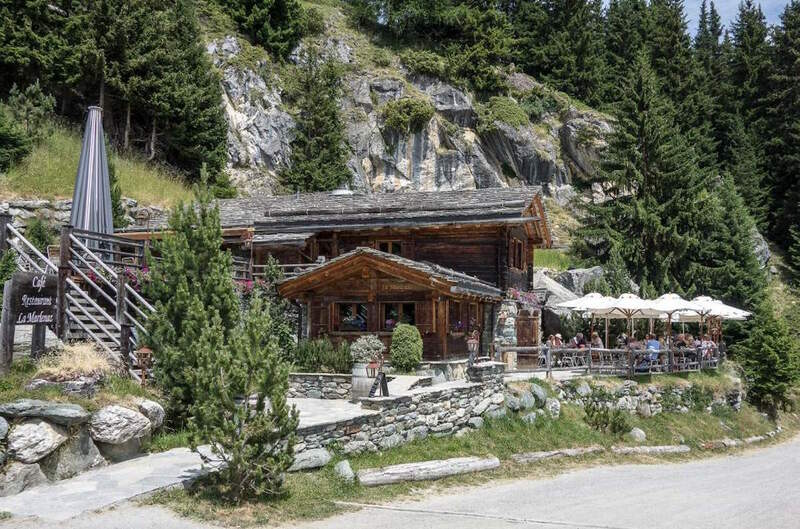 In the pastures of Etablons la Tzoumazin in Switzerland&apos;s world-famous ski town of Verbier, you&apos;ll find La Marlénaz - a cozy mountain restaurant with a sunny deck for incredible views of Val de Bagnes. 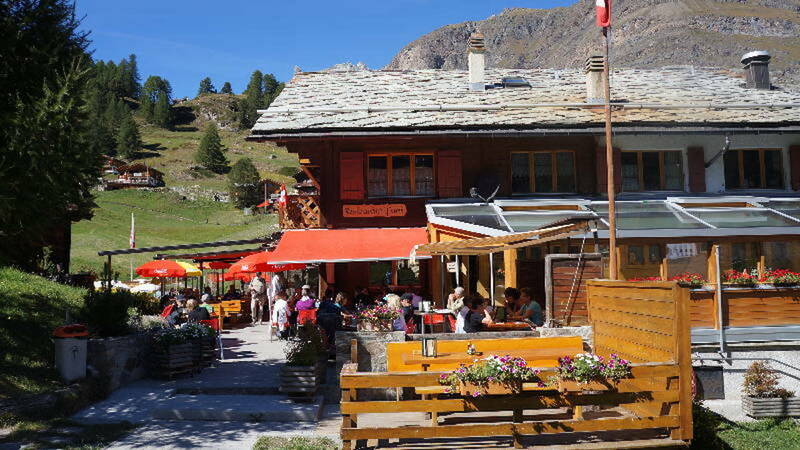 A perfect stop when hiking or skiing, its menu is filled with mountain specialties including raclette. 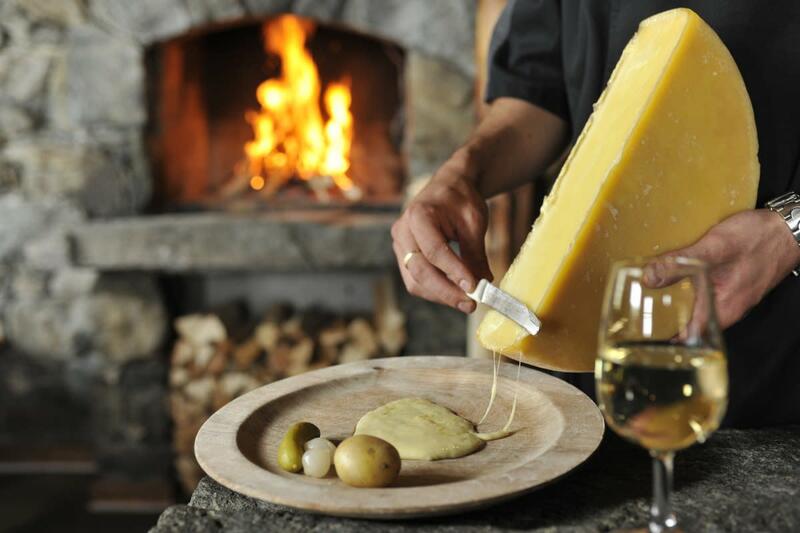 Favored from the Val de Bagnes, raclette is traditionally is melted over an open fire and served with a fresh potato, pickled onion, and cornichon. Served with the local petite arvine wine, it&apos;s a magical hearty combination. Under a dramatic landscape and walking distance from the high mountain village of Leukerbad, this mountain restaurant is a welcome respite after hiking, skiing, snowshoeing or biking. 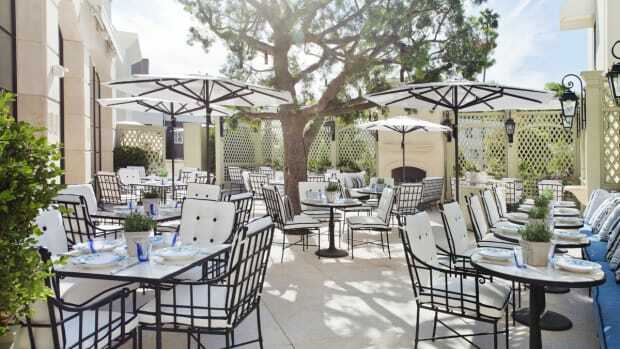 Unwind on its sunny terrace. Or relax inside. Either way, you&apos;ll enjoy a unique culinary experience. Specializing in mountain cheese and contemporary dishes in addition to traditional Swiss cuisine, the hardest choice is to decide which you like best: the view or your meal. With an extensive wine list, enjoy a bottle of local wine from the Varen region - as you can&apos;t get it anywhere else. 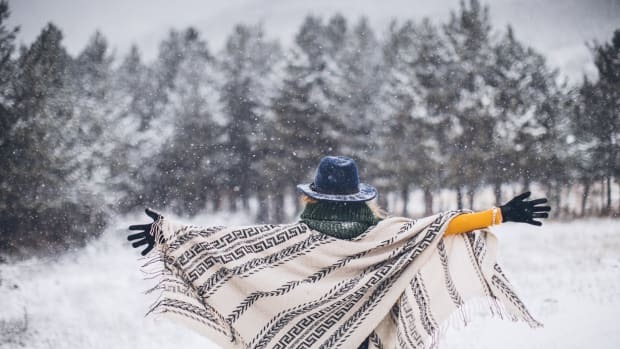 Nestled on a high grassy plateau in Zermatt, you&apos;ll discover Swiss grandmother&apos;s recipes, traditional potato rösti, and fresh fruit tarts in this family-run mountain restaurant. It&apos;s just steps away from the gondola to the Matterhorn Glacier paradise where you can ski even in summer. The patio bursts with flowers and the restaurant is reminiscent of a traditional farmhouse. Vegetarian-friendly, enjoy a hearty farm-fresh salad bar or indulge with one of its local specialties from fondue to the creamiest "cheese on toast" you&apos;ve ever had. The adventure begins with a stunning ride up the Matterhorn Railway to 3089 meters with views of 29, 4000-meter peaks and glaciers. Get off at the Gornergrat stop and hike down from the top peak through the many footpaths amongst glaciers to the famous Riffelsee lake reflecting the Matterhorn like a mirror. 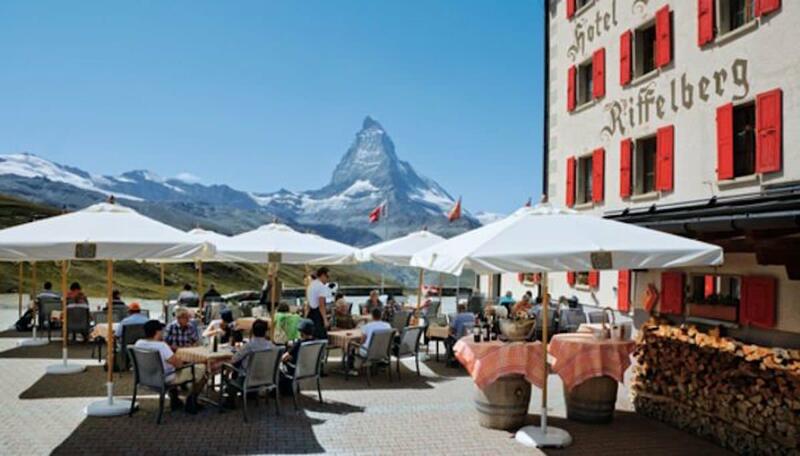 From there it&apos;s a short walk to Rifflehaus Restaurant with armchair views of the Matterhorn.